At the Manchin Injury Law Group, you are a name, not a case number. You are family, not just one of many clients. We know the stakes. We are well aware of the obstacles. Far too much is at stake for a quick settlement that ignores the long-term personal and financial problems you face. There is never an out-of-pocket cost to our clients. We only get paid if we win your case. We have over 37 years of courtroom experience, we prepare each case like it is going to trial. Our attorneys have obtained millions of dollars on behalf of our clients. 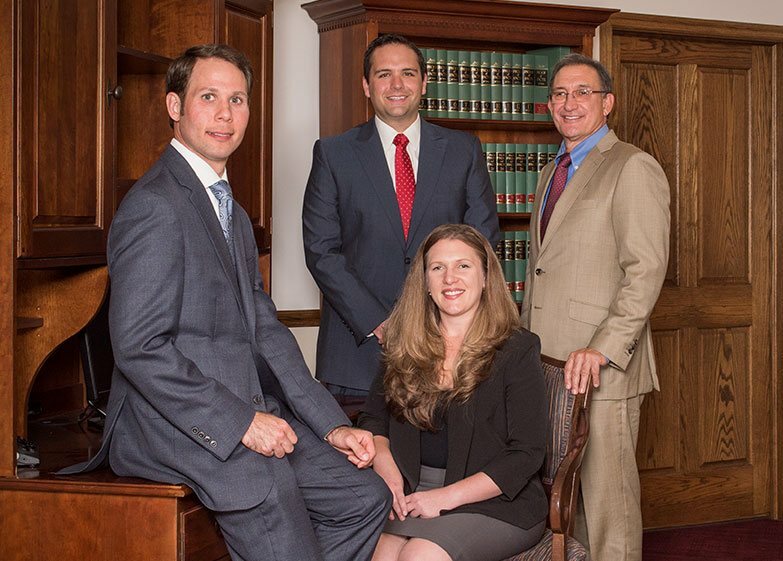 You will meet with one of our experienced personal injury attorneys, who will handle all aspects of your case. The Manchin Injury Law Group, PLLC has been helping victims of personal injury in West Virginia for over 37 years. We pride ourselves on thorough preparation and work our hardest to provide you with the compensation you deserve for your injuries. Contact us to learn more or to schedule a free initial consultation with our firm. Being involved in an accident can be devastating. Victims often struggle to pay their medical bills and miss long periods of work, which adds financial strain to the emotional and physical stress of an injury. West Virginia civil law provides an important form of recourse to those who sustain injuries – whether in car accidents, on-the-job injuries, or because of a defective product. These claims are filed under a broad area of the law called “personal injury.” If you or a loved one suffered harm in any type of accident and think someone may be liable for your injuries, you may be able to collect compensation for medical bills, lost wages, and even losses like pain and suffering. We treat each of our clients with respect, dignity, and compassion – when you walk into our doors, you are family. Most personal injury cases rely on the legal theory of negligence. This is a broad term that holds that we all have an inherent responsibility to act with reasonable care around one another. Establishing duty of care. First, an attorney must establish that the defendant (person being sued) owed the plaintiff (victim) a “duty of care.” Drivers owe a duty of care to others on the road, physicians owe a duty of care to their patients, and manufacturers owe a duty of care to their consumers, for example. Showing a breach. Next, a personal injury attorney must show the defendant violated his or her duty of care by committing negligence. Proving cause. A West Virginia personal injury attorney must not only show that the defendant violated a duty of care, but also that the negligence directly led to the injury. Illustrating extent of the damages. Finally, the plaintiff’s attorney must show that the victim suffered damages as a result, such as medical bills or lost wages from missing work. We treat your case with the seriousness and diligence it deserves. While many cases settle out of the courtroom, we prepare your case as if it is going to trial. In some cases, instances of negligence are clear, such as West Virginia car accidents caused by drunk or distracted driving. In many others, however, there may be several negligent parties at play. 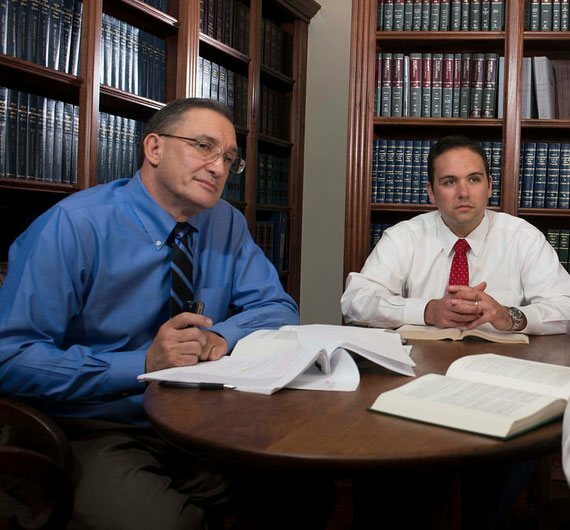 The West Virginia personal injury attorneys at the Manchin Injury Law Group, PLLC are experienced in identifying negligence and pursuing lawsuits against the appropriate responsible parties. These days, personal injury lawsuits are rarely against individual parties. They’re usually against corporations, employers, and professionals – or, more specifically, their insurance companies. Negotiating with insurance companies can be especially difficult immediately following an accident. You may endure meetings with claims adjusters, requests for additional evidence, lowball offers, and even denials. Economic Damages. Attorneys also call these “special damages,” and they compensate for the material losses from an accident. Examples include medical bills, lost wages, and any ongoing costs of therapy or rehabilitation. In accidents involving catastrophic injury, economic damages may also address any loss in earning capacity and the need for any home accommodations (wheelchair ramps, larger doorways, etc.). General Damages. These awards attempt to compensate for the immaterial losses of your accident. Common examples include pain, suffering, emotional distress, or mental anguish. In the case of wrongful death, they may also address the loss of partnership or consortium. Seek appropriate medical care. Your well-being and health come first. Go to the hospital, local emergency room, or your health care provider for appropriate diagnostic tests, imaging, and any treatment that will assist your health. Don’t worry about the costs or medical bills right now – the most important thing is that you get on the road to recovery. This also establishes an official record of your injuries for a possible personal injury claim. Contact an attorney as soon as possible. Finally, contact the Morgantown and Fairmont personal injury lawyers at the Manchin Injury Law Group, PLLC. The West Virginia personal injury attorneys at the Manchin Injury Law Group, PLLC have decades of experience negotiating with insurance companies and achieving fair settlements or jury verdicts for our clients. Insurance companies stay in business by paying out as little on each claim as possible. When you have legal representation, insurance companies tend to take your claim more seriously, and our personal injury attorneys advocate tirelessly for each of our clients. Contact us to learn more or to schedule a free initial consultation with our firm in Fairmont, WV.